Hi Paradise Seekers! Last week I spoke about resolutions and encouraged you to make travel plans early in the year and now I’m already writing about Valentine’s Day! Time flies when you’re having fun- traveling- ha ha. Anyway, since Valentine’s Day is right around the corner, I thought I would share my list of the most romantic cities in the world. Maybe this post will inspire you to book a spontaneous flight for the upcoming holiday. Yeah, ditch the chocolate and stuffed animals and surprise your lover with a romantic experience in a new city. 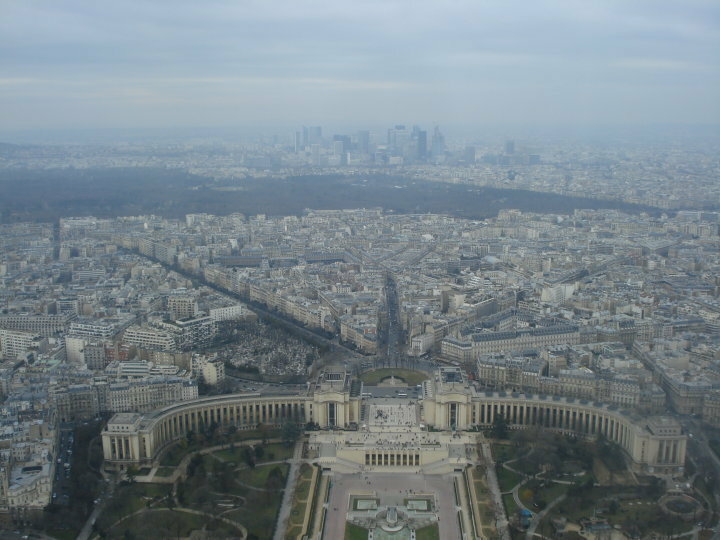 Paris: Yes, “Paris is always a good idea” and “Paris is for lovers”. Even though it may seem like a Valentine’s Day cliché, there is something truly enchanting about this city. You can experience Paris like you see in the movies; have a picnic by the Eiffel Tower, walk the shops at Le Marais, have a romantic dinner with a view of the Seine, but my advice is to find something that only you and your lover will know about and make it an everlasting memory. Get lost in the city of lights with your travel partner and find yourselves in the middle of a café in Montmartre or walking along the river bank without a care in the world. Kyoto: If you’ve been reading my blog, you may remember that I visited Japan in 2016 and fell in love with Kyoto (read about it here and here). I found this city to be incredibly romantic. If you are so inclined, make Kyoto your next couple getaway. I recommend staying at a Ryokan, these are traditional houses where you will get the full Japanese experience; from sleeping on futons on the floor, to wearing kimonos while being served a traditional breakfast inside your room. I also recommend you take in the serenity of the city. Visit the various temples and Arashiyama (about 30 minutes from Kyoto) where you’ll find the famous Bamboo Forest. Walking alongside the river and through the streets in this area is also very romantic! A couple doing their wedding photoshoot in Kyoto. 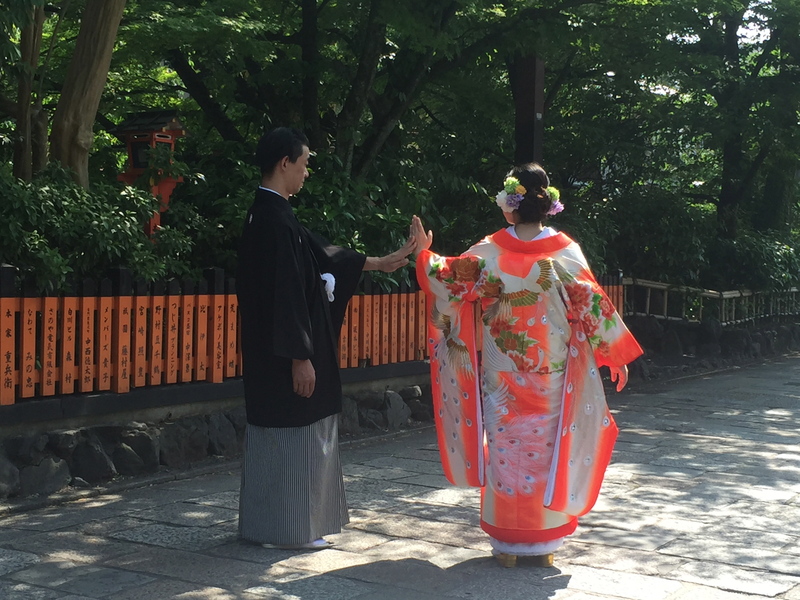 Our guide told us the outfits and poses were traditional for Japanese weddings. Breakfast in bed…with a twist. 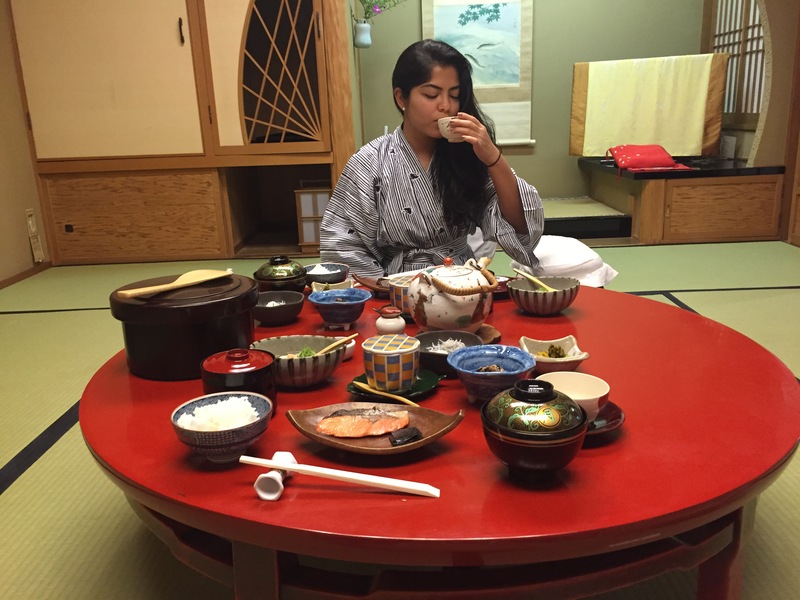 Our futons were in this exact room a few minutes before this traditional Japanese breakfast spread was served. 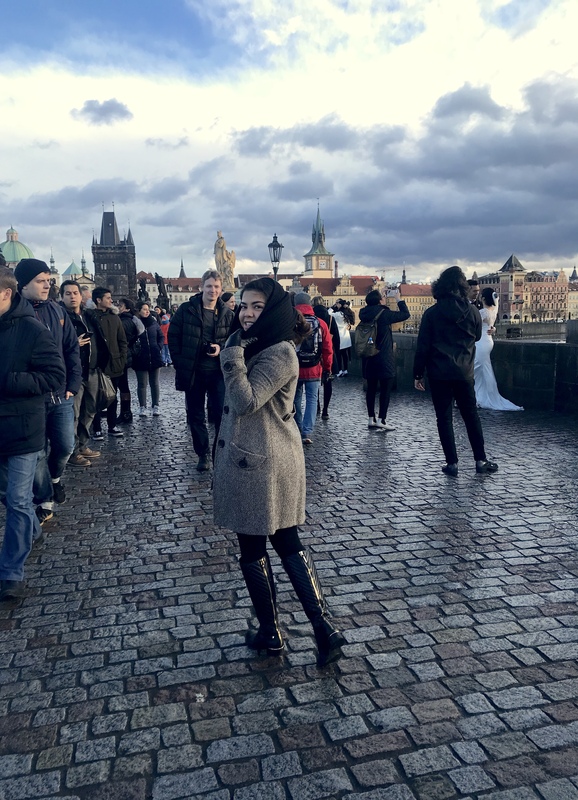 Prague: Maybe it’s because I was just there and am still enchanted by its beauty, but Prague in my opinion is definitely for lovers. It has everything you would like for a romantic trip: delicious restaurants, a great night life, and a picturesque setting. 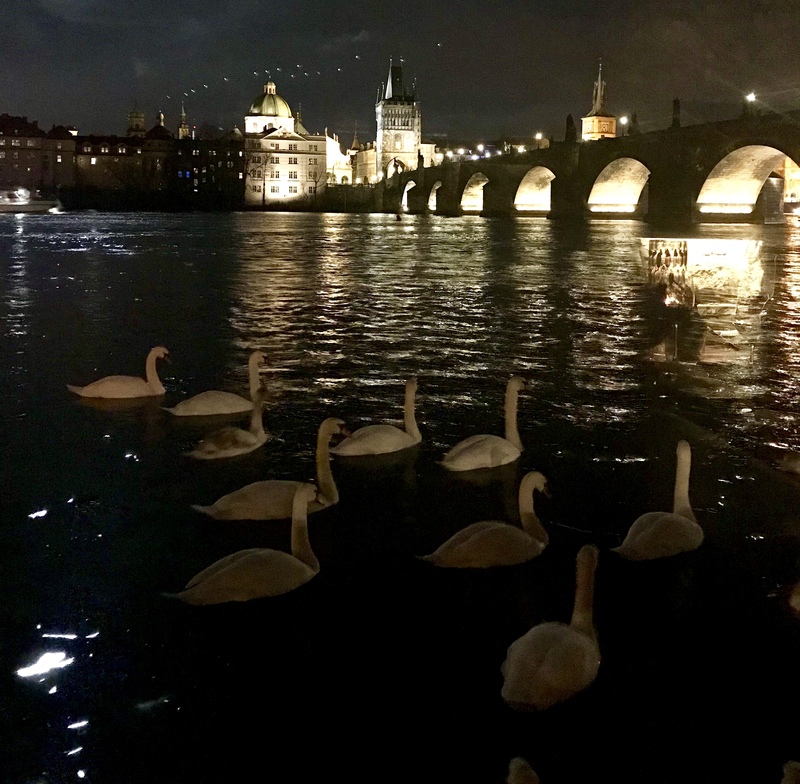 Whether walking the Charles Bridge, having a romantic dinner at Kampa Park or staying in the Old City area, you’ll feel you’re in a fairy tale with your prince charming. You guys saw this photo on a recent post but I wanted to share it again because I can’t get over this view of Charles bridge from Kampa Park restaurant. One of the most romantic dinners I’ve had. Notice the couple in their wedding outfits taking picture in the background. Lovely! Cartagena: Lately Cartagena has been a trending destination for bachelorette parties, weddings, world explorers and of course, couples. The enchantment of the walled city is a perfect setting for a romantic getaway in the Caribbean. Make sure to stay at a boutique hotel within the walled city as it will be so much easier to get around- you can walk everywhere. Check out the Tcherassi Hotel(I haven’t stayed there but if you go let me know what you think). Another recommendation is to make reservations (in advance!) at the restaurants you’d like to visit in the Old City- an impromptu dinner date may not be an option since most restaurants are always full. 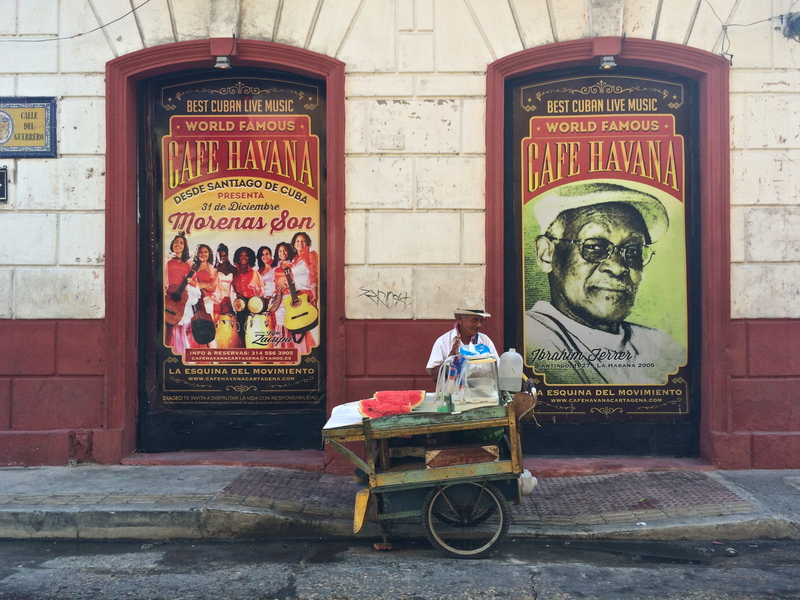 After dinner, you can dance the night away at Café Havana in the Getsemaní neighborhood. Woke up super early to witness this breathtaking view from our hotel room. 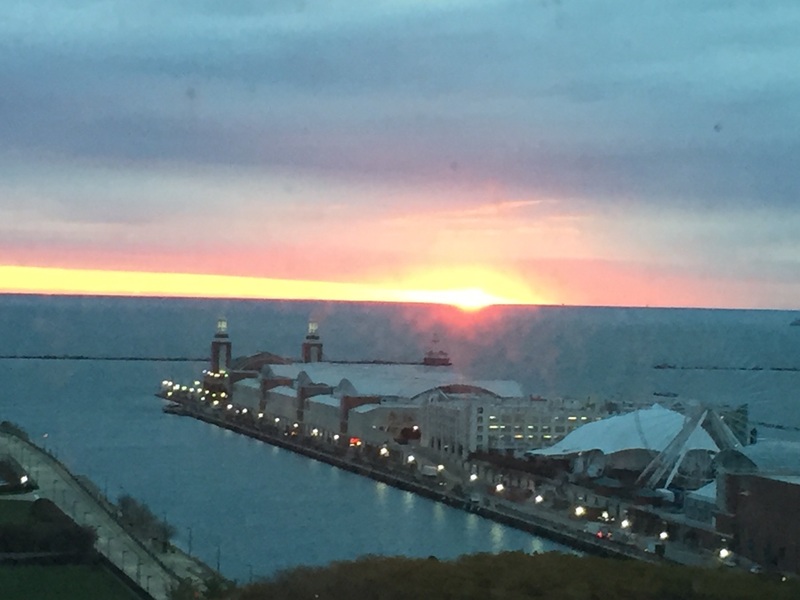 The Navy Pier, Lake Michigan and an amazing sunrise which this picture does not do it justice. 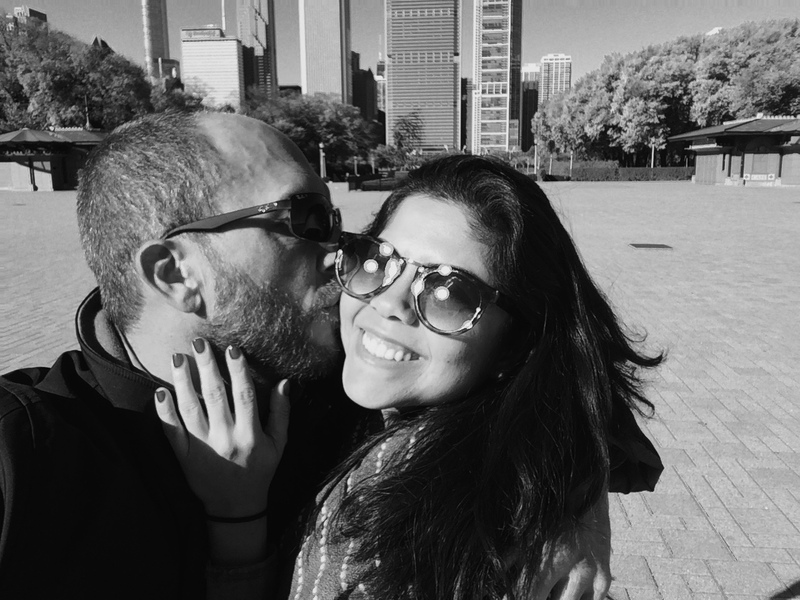 Chicago was the first city we visited together…maybe this is why I find it so romantic?! I know any city can be romantic if you enjoy them with your loved one…I found these cities lovely, not only because of their beauty but because of the incredible memories I made there. So what is the most romantic city in your opinion? What cities are missing from my list? Join the club and share your thoughts below.